The 2015 Grassland Farmer of the Year was won by dairy farmer Colin Boggs who farms near Banbridge, Co Down. He gives us an insight into his winning formula. Richard Halleron reports. 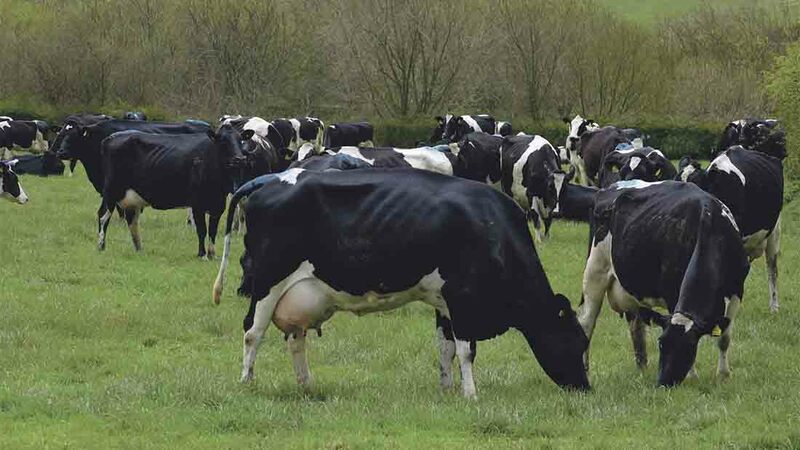 Mowing grass in paddocks 24 hours before it is due to be a grazed is a key management tool used by Co Down dairy farmer Colin Boggs in maximising milk from forage yields from his 110-strong Holstein Friesian herd. In fact, it is a technique which helped win him the 2015 UK Grassland Farmer of the Year award, a competition run by the British Grassland Society. Mr Boggs says: “It was an idea I picked up during a visit to New Zealand a number of years ago. “And it works well under the conditions which prevail on our farm. I suppose you could call it a form of zero-grazing without the need for housing. But it is certainly a way of ensuring all the fresh grass produced on the grazing block is utilised to maximum effect. “The wilting effect which takes effect between cutting and the cows actually eating the grass has no effect whatsoever on intakes. “It is also a very simple system to apply. We can normally get cows out night and day from the middle of March. This year was slightly different, due to the fact we had a very late spring. As a consequence, we had a very staggered start to the 2016 grazing season. 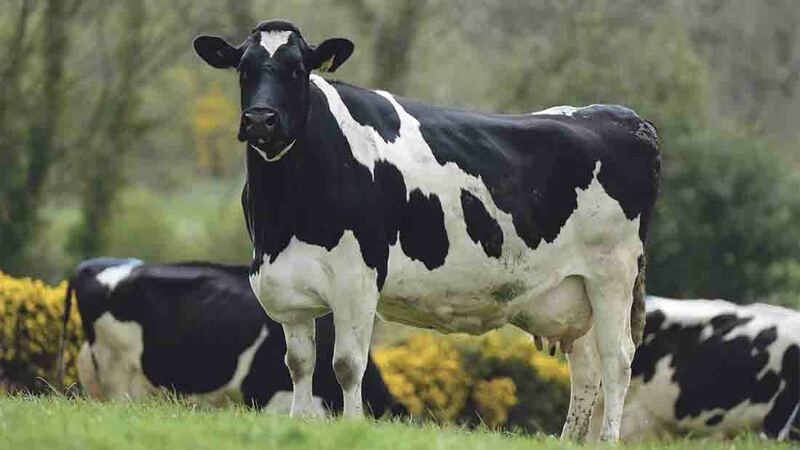 Mr Boggs views the principle of getting as much milk from grazed grass as constituting the all-important response required from the dairy sector, as it grapples with the challenges posed by the world’s increasingly volatile commodity markets. “We are now operating in a truly international market place,” he says. “And London or Brussels is not going to offer the dairy sector a big cheque to help milk producers make ends meet in the current downturn. Making this happen for Mr Boggs has had three major consequences for the development of the farm. The herd calves down between mid-January and mid-April. Later calvers, of which there were seven this year, are sold-on while fresh. New Zealand genetics has been used by Mr Boggs over recent years to secure his replacements. Where grassland management is concerned, Mr Boggs is quick to point out the farm, which is located near Banbridge, is in the heart of the Co Down ‘drumlin belt’. “Clay soils predominate and a number of fields are north facing. As a result, there will be times of the year when both the weather and ground conditions can work against us,” he says. Mr Boggs farms with his father Frank and mother Helen. The family has traditionally milked cows. But back in the 1960s, the focus was entirely on winter milk production. The farm was completely destocked in 1970, following a brucellosis outbreak. “The switch to spring-calving was a result of our agreement to take part in a trial, co-ordinated by Professor Fred Gordon, who was then head of the Agricultural Research Institute of Northern Ireland at Hillsborough,” Mr Boggs says. The current benchmarking figures for the Boggs’ herd are nothing short of staggering, from a milk from forage perspective. The cows are averaging 6,100 litres at 4.49 per cent butterfat and 3.52 per cent protein. Of this total, 5,070 litres are produced from forage. “Last year, the cows averaged 4,245 litres from grazed grass alone. And the cows receive 587kg of meal per lactation,” says Mr Boggs. Freshly-calved cows are ready for grass from the end of February. They have access to a 32-hectare (80-acre) grazing block. This is divided up into paddocks, averaging just under a hectare in size. Extensive use of electric fencing is used throughout the grazing area. Mr Boggs turns cows out into paddocks with a grass cover of 3,000kg of dry matter/ha (1,215kg DM/acre). Once the grazing season is in full swing, he aims for a 24-day rotation cycle. Paddocks which get ahead of the cows are taken out for baled silage. Where fertiliser is concerned, Mr Boggs has a very simple principle: no urea. “It has never worked on this farm, we found it made the grass very bitter. Instead we sow half a bag of 25:5:5 per acre before the initial grazing and the same again after the cows have left the paddock for the first time. “Later in the season we will sow a combination of nitrogen, sulfur and sodium on the grazing paddocks. 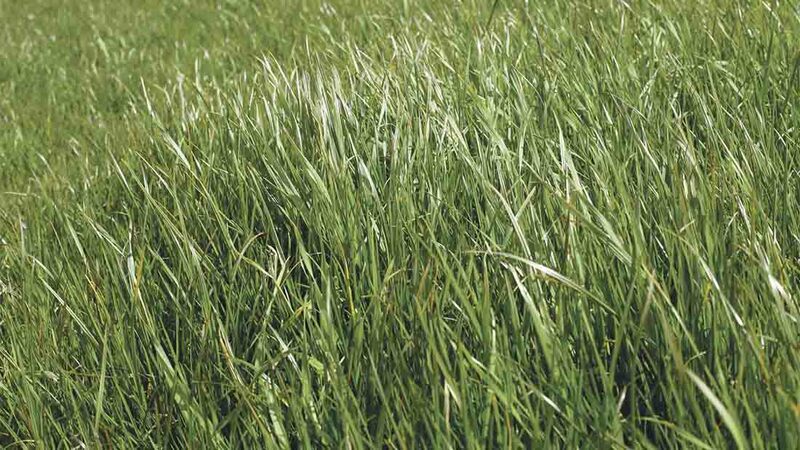 We farm in a sulfur-deficient area and the sodium adds to the palatability of the grass. We also make salt licks available to cows throughout the winter months. Making best use of slurry on both grazing and silage ground, is another priority for the farm. Mr Boggs makes three cuts of silage annually. This year’s projected cutting dates are May 20, July 12 and September 15. “A contractor does all the work. This year’s first cut acreage extended to 60 acres. The grass is spread out two or three times and wilted for 24 hours. We do not use an additive. If the sun shines then this should be a sufficient boost, when it comes to making good silage. “Over recent years we have combined precision chopped straw, sourced from a local farmer, with third cut grass and then ensiled the mixture. This is a tremendous forage source for cows. Rather than take a fourth cut, we normally zero-graze grass which is available in the late autumn. “We normally grow 10 acres of wholecrop. In the past we grew maize. But the expense associated with such a marginal crop, which is what it is in this part of the world, made it a non-starter in the longer term. Normally, Mr Boggs can keep the cows out day and night until the end of October. “We had an exceptional back end last year, with cows out in the paddocks until November 12. In terms of the current state of the industry, Mr Boggs says: “Producing milk at a loss does not makes sense under any circumstances. Like every other dairy farmer, I am fully aware of the downturn in milk prices which has had such a devastating impact on incomes, not just here but throughout Europe.